As I embark on this 7 day challenge, I challenge you all to join me. This weeks theme is the world around you in black and white. I chose this picture as we head into autumn. This pumpkin did not ripen all the way and is still green. The vine has long since died as our first frost has now come and gone, killing everything in its path. I am still hoping that this pumpkin ripens before Thanksgiving day so I can use it to make my pumpkin mousse with it. To join us in this challenge, post a pic on your website and enter the URL in the comment below. Pictures need to have been taken on the same day. Have fun! Pumpkins are one of the more versatile vegetables. If made correctly, it could even be sweet. Pingback: Sweet – View – What's (in) the picture? 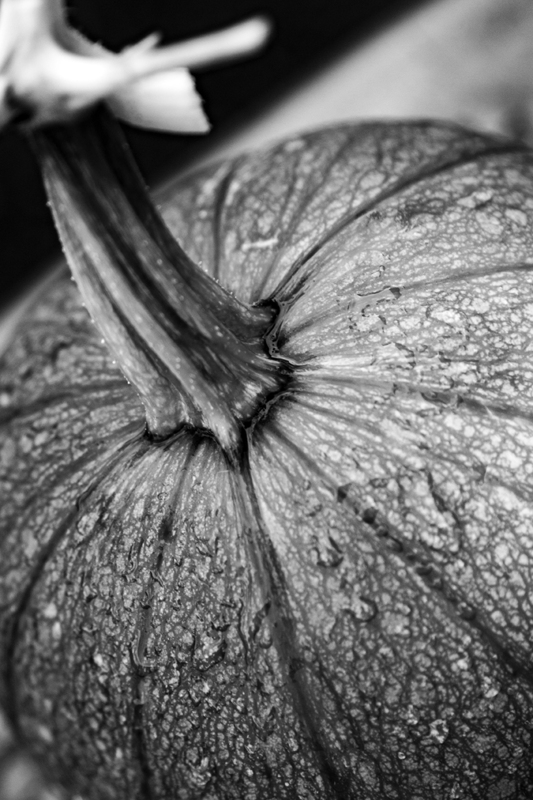 You did a good job bringing out the texture of this pumpkin.